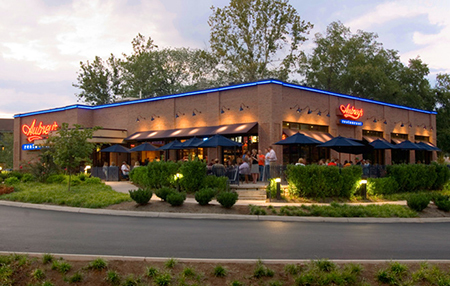 Aubrey's is a family restaurant serving pastas, Southern specialties, steaks, seafood, ribs, soups and specialty salads, burgers and sandwiches, kid's dishes, and vegetables. Aubrey's has a great ambience, good service, and food that will please your palate. The restaurant is a favorite gathering place for luncheons, Sunday lunch, and dinner gatherings.